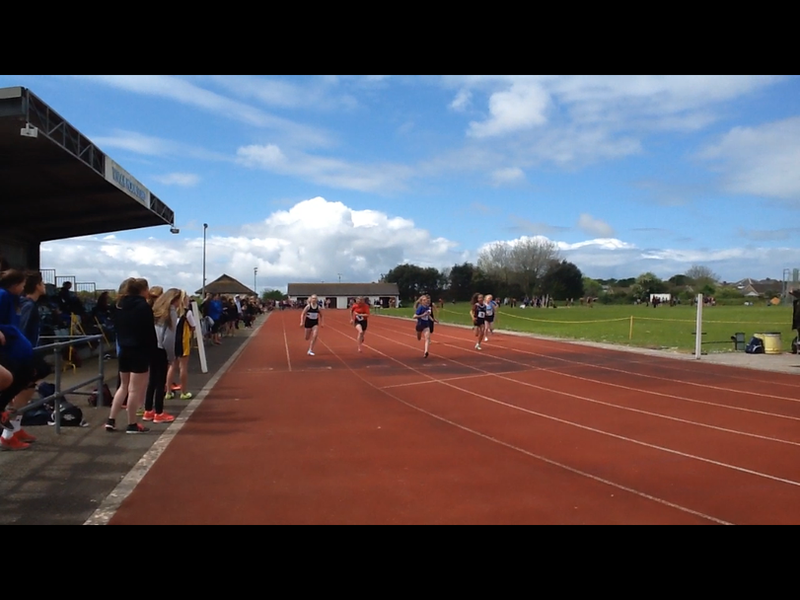 On Wednesday 18th May, Holsworthy Community College took a group of students in Years 7-10 to the North Devon Athletics Championships at Braunton Athletics Track. The pupils took part in a number of track and field events, including: javelin, shot put, discus, high jump, long jump, triple jump, 100m, 200m, 300m, 400m, 800m, and 1500m. All of the pupils performed extremely well, with some outstanding performances coming from Issy Edworthy who won her heat to get through to the 100m finals, finishing in a respectable 5th place. Harvey Lees also got through to finals in the 100m, finishing 6th and in the 200m finals he came 4th. Another stand out performer was Charlotte Prime. Charlotte won her 200m heat race before going on to the final and finishing in second place. Charlotte also competed in the 300 metres and won her heat and possibly the whole race, depending on whether her time bettered those in the second heat. Finally the Intermediate girls relay team got through to the finals (Charlotte, Brooke, Georgie and Holly) and finished in 4th place against some strong teams. Overall a fantastic day, well done to everyone who went!